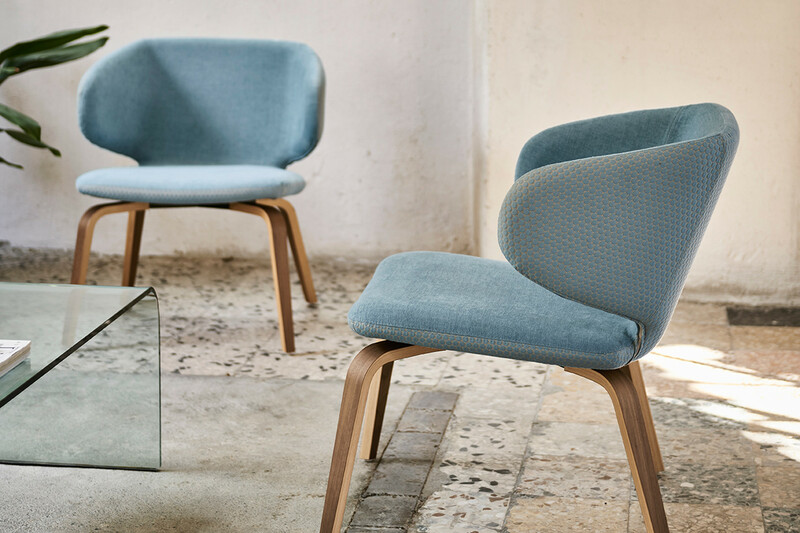 Wrap is now available in the lounge chair version designed for the furnishing of refined domestic environments and sophisticated workspaces. Another novelty extends to all the variations of the collection: the innovative wooden base, available in eight different shades, also adaptable to the chair and armchair versions. Wrap collection can be upholstered in a wide range of fabrics, leathers and faux leathers, which are combinable with each other. 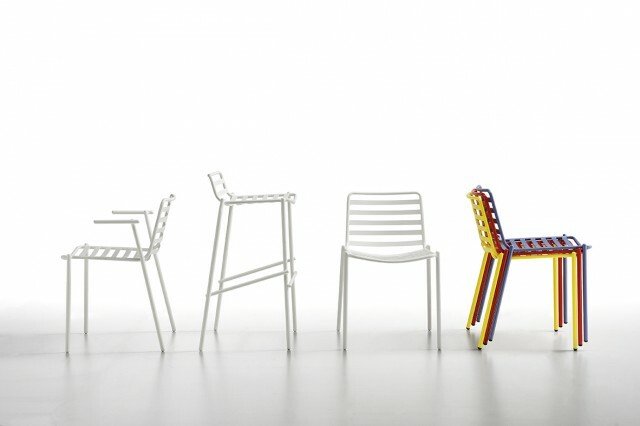 Chair, chair with armrests and stools for outdoor use.